We are very excited to release our latest product, Crokinole 2 Go, into the world of crokinole and gaming. 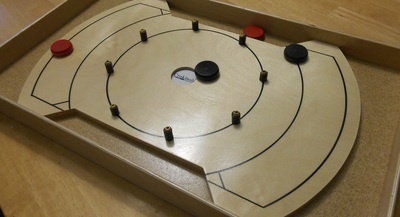 The pictures you see are a prototype board, but the final version, which is now being crafted, will only have 2 or 3 minor changes. We have put a lot of time and thought into this product and we know we have nailed a 20 with it. It is convenient to travel with, simple to store and easy to manipulate. 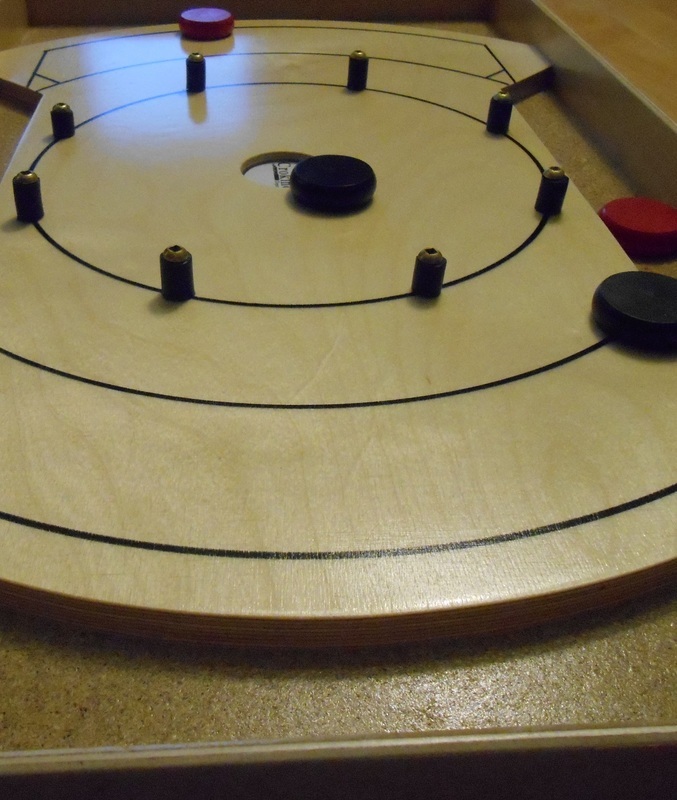 Overall dimensions are 20.5 x 12 inches and it is hand crafted with the same quality materials that our standard crokinole boards use. 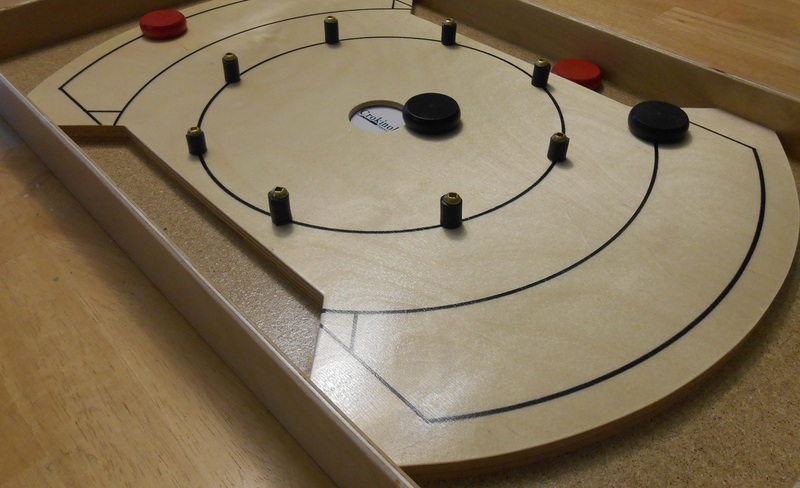 The 20 hole, 15 circle, discs and posts are all the same as our tournament board specs so you get all the same angles, bounces and feel as a traditional size game. 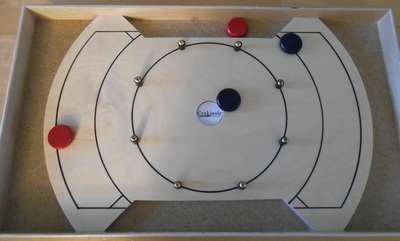 We shortened up the 5 and 10 zones considerably and introduced side ditches to keep the discs from bouncing back onto the board. 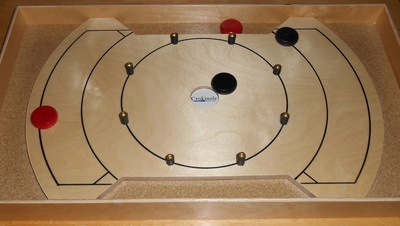 Crokinole 2 Go is now available. 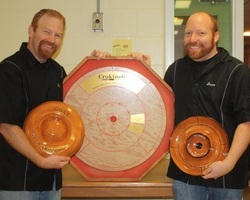 See our Crokinole Store to order yours today. Facebook seems to be a big deal lately.... So we have joined the movement.